Are you about to move out of your flat or house in London? Are you worried about getting back your deposit because of the cleanliness? Well, stop worrying, and call 020 3746 6887 or fill out our contact form. Get a free quote for the professional and highly efficient end of tenancy cleaning service provided by SATSU Ltd.. The cleaners are well-trained and are familiar with the moving out inventory checklists. Don’t hesitate to use the affordable and professional services, or it may cost you your bond. 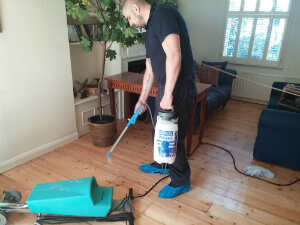 Call 020 3746 6887 right now and the assistants will give you a free quote and will inform you of the discounts which you can use for the leading end of tenancy cleaning service in the area. SATSU Ltd. is one of the recognised cleaning companies established in London. It has been providing its high-quality and impeccable services to the people in the area for more than 10 years now. The company has invested in purchasing the latest and most efficient cleaning machines and tools, and in constantly training and motivating its personnel, so that the services provided are perfect and safe, and the customer is happy. To book an end of tenancy cleaning, you need to dial 020 3746 6887, or fill in the simple online booking form. Keep in mind, that end of tenancy cleaning can be performed only after you and your belongings are removed from the property, if you want deep cleaning while you are still living in it, you can book a one off cleaning service or other deep cleaning services available in London.